​Mini-splits are heating and cooling systems that allow you to control the temperatures in individual rooms or spaces. They are easy to install usually requiring only a three-inch hole through a wall for the conduit; which houses the power and communication cables, copper tubing, and a condensation drain line, linking the outdoor and indoor units. ​Mini-split heat pumps are not only great solutions for whole home or new constructions but make good retrofit add-ons to houses with “non-ducted” heating systems, such as hydronic (hot water heat), radiant panels, and space heaters (wood, kerosene, propane). They can also be a good choice for room additions where extending or installing distribution ductwork is not feasible, and energy efficient new homes that require only a small space conditioning system. 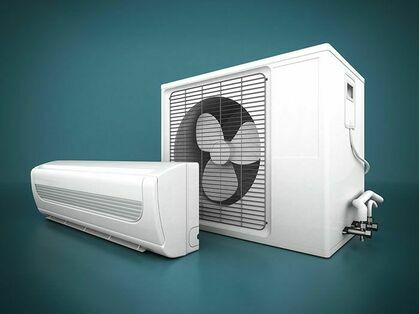 Ductless heating and cooling systems costs depends on the size of room and number of mini split system units.